I know yesterday I did Christmas ornaments for the Thing of the week, but today is Christmas, so another free Christmas thing from Thingiverse makes sense. I really like Advent Calendars, or I really like chocolate. 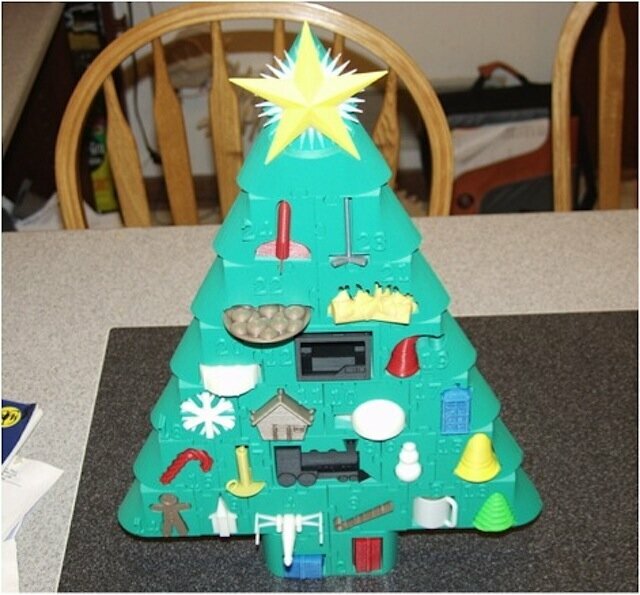 Regardless, this 3D printed Advent Calendar is super neato. If I were any kind of writer I’d have mentioned this 25 days ago, but it’s here now so enjoy. My favorite is the toy rocket. This was pleppik’s (Peter Leppik) entry into ProtoParadigm’s Winter Wonderland Contest, so I hope he wins. He uploaded all of the gifts separately each day like a responsible internet parent, so you can easily access them next year and be outdated when he does a new one. Or I could just inform you at the appropriate time of when to start next year; it’s sometime around the beginning of December I believe. A year-long version of this with the most printed things on Thiniverse would be pretty rad. Anyway, there’s a roast calling my name. I hope you got that 3D printer you asked for. Merry Christmas!